Mediaperson Baiju Chandran returns to fiction with a short film called ‘Sreeparvathiyude Paadam.' An adaptation of a eponymous short story by E. Harikumar, the movie trails a young woman's journey to her ancestral home in the countryside. The heart-warming story attempts to capture the different images, sounds, and even the smells of the countryside that the woman remembers and associates with her childhood. 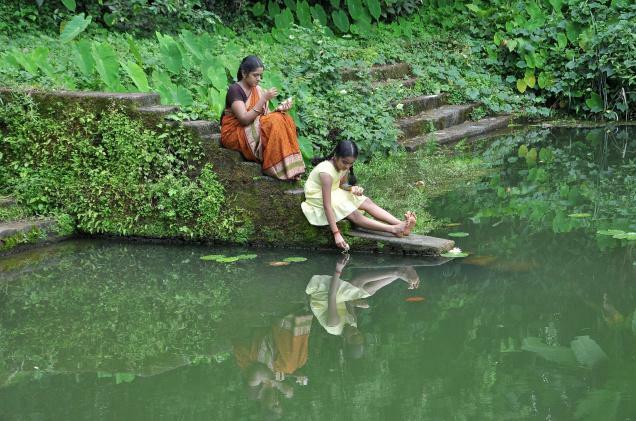 choosing E.Harikumar’s short story is its universal significance where one woman represents nature and other one represents selfishness of humanity.” says Baiju. Baiju feels that people are not interested in serious movies and literature and instead, spend time on meaningless TV programmes. “My aim is to make the viewers aware of the need to protect our nature. I hope to create a good impact on the society with this film” he says. Joined Doordarshan in 1984 and worked as Producer of News and Current Affairs Programme at Doordarshan Kendra, Thiruvananthapuram till 1999.Worked as Assistant Station Director, at DDK, Kohima during 1999-2000.Worked as Film Officer on Deputation at Kearala State Film Development Corporation (KSFDC) during 2000-2002 and was in charge of Digital Studio, Documentaries and the programme ‘RANGOLI’ produced for Doordarshan. 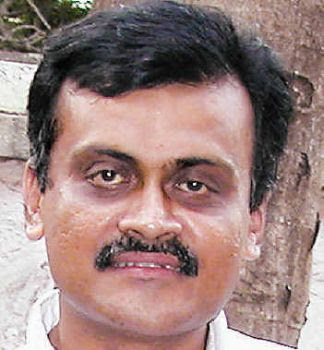 Worked as Assistant Station Director at Programme Production Centre, Doordarshan, Guwahati (2002-2004) and presently working as Assistant Director Programmes at DDK, Thiruvananthapuram since 2004. ‘NINACHALOZHUKIYA NALVAZHIKAL’ a two part Documentary on the naxalite period in the political history of Kerala produced by Doordarshan (1996). The film was shown in the competitive section of the Festival Internationale Programme Audio Visuel (FIPA) held at Biarritz, France and also at the Videotheque Festival, Paris, Mumbai International Film Festival (1998) and various festivals in and around Kerala. ‘ADOORINTE SARGAPRAPANCHAM’ Documentary on the renowned film maker Adoor Gopalakrishnan (1995). Documentaries on eminent personalities Thakazhi, Basheer, Prem Nazir, O.V.Vijayan, M.Mukundan, Kunjunni Master, Artist Namboothiri, Santha P.Nair are the other major works. Co-authored the book ‘DRISHYA SHRAVYA MADHYAMANGAL’ published by Kerala State Language Institute and ‘MADHYAMA NIGHANDU’ published by D.C. Books. Member, Board of Studies, Dept. of Communication and Journalism, University of Kerala, Board of Examiners and Guest faculty of Universities of Kerala, Calicut, Kannur and Mahatma Gandhi University, Centre for Development of Image Technology (C-Dit), Kerala Press Academy both under Govt. of Kerala and Journalism Institute under Trivandrum Press Club. Closlely associated with the International Film Festival of Kerala (IFFK) since its inception in 1995 as member of the organizing committee. Was member of the selection committee of Indian and Malayalam Film section of IFFK 2011. Worked as member of Jury of various Film / Media Festivals including Padmarajan Award for best Malayalam film and Script (2011) and Kerala State Media Award consecutively since 2005. Won Adoor Bhasi Puraskaram and Chengarapally Parameswaran Potty Puraskaram for life time contributions to Media in 2010. 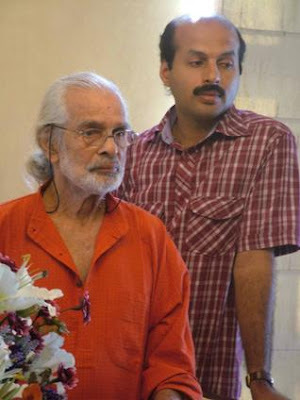 Everyone is familiar with Artist Namboodiri's (K.M. Vasudevan Namboothiri) illustrations, whether it is a little boy with wonder in his eyes, looking up, women with prominent bosoms or simply landscapes, of temples or streets. But we have never seen them spring to life and do a jig, as in the credits of ‘Namboodiri — Varayude Kulapathy,' the documentary on Namboodiri, directed by Binuraj Kalapeedhom, under the banner of Ask Movies. These graphics, done by Ajoy Kumar D., lead you into the life and times of thespian Namboodiri, who is as busy at age 86 as he was when he drew all over the walls of Karuvattu Mana in Ponnani, as a child. The winner of Raja Ravi Varma Award and an artist who has, throughout his life, engaged with art and art alone, and lived by it, Namboodiri wields the brush, sketch pencil, chisel or the hammer (for metal reliefs) with equal ease. These aspects are brought to the viewer in descriptive visuals rather than a narrative style, so that Binuraj takes us along with Namboodiri to the locales that made him, his birthplace, and the Shukapuram temple near his house which had sculptures that influenced Namboodiri deeply. “I had this urge to draw and mould sculptures after seeing these,” says Namboodiri. In the initial part of the 44-minute documentary, we see a child learning vedas, trying his hand at sculpture and drawing on the walls, all in black and white. His guru, K.C.S. Panikkar, and life at the Art School in Chennai, which shaped his life into this direction, Cholamandalam, his innings at a Malayalam weekly, where he drew illustrations for the weekly for a long time, association with M.T. Vasudevan Nair and Aravindan are all brought back to us. (He did art direction for Aravindan's ‘Utharayanam' and won a State award for it). M.V. Devan and M.T. speak about Namboodiri. Apart from Ponnani, actual locations in Kozhikode, Kollam, Chennai and Kochi were used. Some footage has been kept aside for his family and friends too, so that we get a fair idea of Namboodiri from childhood to his eighties. He has so positive an attitude and retirement seems to be just nowhere in sight. Namboodiri wears colourful shirts in the documentary, and Binuraj says he always asked whether the shots were close ups, full or ‘above the waist' to be prepared for it. “When I felt that a shot was not satisfactory, he would sense it and ask whether a retake was needed. It was such a pleasure and learning process, shooting him,” says Binuraj, who spent more than two years on this project, produced by Shafeer Abbas. It is being readied to be sent to several film festivals. Yesudas sings, with music by Malkoms. This is Binuraj's fourth documentary. The others were on M.K. Sanoo, former Supreme Court judge V.R. Krishna Iyer and the Marthoma Cathedral at Mulanthuruthy. He was art director of K.S. Prasad's ‘Comediyum, Mimicsum Pinne Njanum' and won the award for the art direction of it six years ago. His next project is a music-based feature film to be shot at Tanjavur and on the locations where ‘Malgudi Days' were shot, says Binuraj.